Welcome to our mock theory test for Car drivers. The online mock theory tests are essentially prepared by DSA approved driving instructors for your benefit. These theory questions are based on the official DSA Theory Test and the Highway Code and are a great way to practice before the actual DSA test. This Car Driving Test UK test is conducted primarily in UK and is the first step towards obtaining your driving license. This test was made by DSA approved driving instructors and the MOCKEXAM4U team. These tests are organized for individuals who are aiming to get a car license. Although similar, questions are not from the official bank of DSA theory questions. Passing this mock theory test does not mean that you will pass the actual theory test. Learning the knowledge required for the official DSA Theory Test can be difficult and sometimes expensive. We’ve made these mock theory exam questions to resemble the real DSA theory test questions as closely as possible and for your convenience and learning. There are 3 online practice theory tests for you to pass. The mock theory exams are completely free once your registration is complete after clicking the confirm link sent to your registered email id. If you don’t pass any of the mock tests listed on this website then try again. The practise will pay off in the end. Good luck, you’re now on your way to passing the official DSA Theory Test. All the best! Don’t forget to try out the free Online Theory Mock Exams! The driving test has two parts: The theory test and the Practical Driving test. The theory test was introduced by the UK government to ensure safe driving. The theory test emphasizes on the need of the driver’s confidence to drive on their own and their capability to gauge hazards. Each test has two main parts to it, mainly the multiple choice test followed by the hazard perception test. Before you start the multiple choice test, you are given an option to try your hands at a 15-minute practice session. This session would help you get acquainted to the format of the test. See carefully the buttons that need to be clicked in order to glide through your exam bump free. In the test there are 50 questions: you’ll need to get at least 43 correct to pass. You’ll have 57 minutes for this part of the test. Remember, you must pass your theory test before you can take your practical test. The multiple choice questions appear on-screen and you’ll use the mouse or touch screen to choose the correct answer. For some questions you’ll need to select more than one right answer – there’ll be a indication if you don’t choose enough answers. There may be case study questions as well: these will depict a short ‘story’ and you’ll need to answer five questions about it. If you aren’t sure about any of the questions, you can always ‘flag’ them and come back to them later. At the top of the screen there is a clear snapshot of all the 50 questions and your attempt at answering the questions. A timer clock on the screen would help you to manage your time as well. Once you have attempted the entire theory questions bank click on the Finish exam button. When you’ve finished the multiple choice questions, you can go straight on to the hazard perception part or take a three-minute break. You can watch a short video before you start the test, showing you how the test works. See carefully and understand the procedure well so that you are able to identify the hazards accurately and click the mouse button on time. You’ll need to click the mouse or touch screen when you see a developing hazard. The sooner you spot the hazard, the more points you’ll score. You can score up to five points for each hazard. You’ll need to score at least 44 out of 75 points. Each film would showcase one hazard apart from one film, which has two hazards. If you click the mouse too much or if you click in a pattern, you’ll be given a warning message and you’ll score no points for that film. Hence it’s wise to click the mouse button only when you anticipate some hazard developing. Are you ready??? Mockexam4u is an ideal space to test your UK car driving theory knowledge. The sample test of 15 questions provides a glimpse of the actual examination questions. This section is provided to give you an understanding of what to expect at the Official UK driving theory Exam for car drivers. Our group of Certified DSA approved driving instructors have carefully designed each of the sample and mock exams to ensure the entire syllabus is covered and the reader gets the utmost benefits. If you feel you are benefited with the sample exam please do register for free by following the register link and treat yourself to a valuable learning experience. Click the image above to check the UK Car Driving Theory sample exam. It would give you a sneak peak at what you could expect in the actual driving theory exam. This sample exam encompasses 15 questions and is not time bound. The feedback after every question will tell you the right answer and the corresponding explanation. The sample questions are similar to questions from the current Car driving curriculum, to help prepare for the exam. These review questions do not reflect the actual questions you will receive on the live certification exam. They are only meant to supplement your learning experience. It would be prudent to take as many exams as possible to boost confidence and to test your preliminary assessment levels. If you feel you are benefited with the sample exam please do register by following the link below and get a chance to attempt the other 3 UK Car driving mock exams for practice or as an actual mock test. This online Test remains the property of the Mockexam4U. 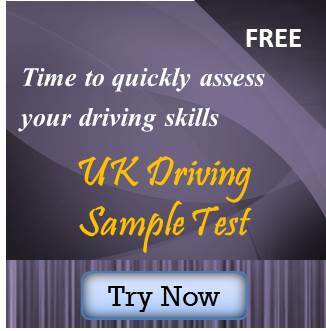 The UK Car Driving sample questions and the online tests are not from the official Car driving theory sample papers and they are created by our organization. These test questions are not to be reproduced or re-sold without our permission. Enjoy the exam whilst free! Each of the exams is vigilantly questioned with each question differing from the other to ensure the entire car driving theory course material and highway code books are covered. Also click this link to attempt the other Uk Driving Mock Exams. Do give us your precious feedback so that we could cater more easily to your needs. Acquiring a UK Driver’s license by passing the driving theory test is not that difficult if you climb aboard with Mockexam4U …We have 3 mock test available to assess your preparatory skills. With these brain teasers you can easily alleviate exam qualms if any…An Ideal space to test your driving knowledge and skill sets. This section comprises of two types of exams namely: The mock exam and the practice exam. 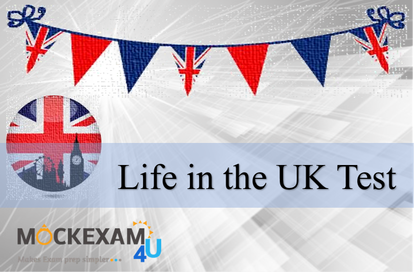 The UK Driving mock exam is time bound with 57 min as the end time, whereas the practice exam focuses on testing how much an individual understands or has a grip on driving necessities and is not time bound. The former tests your prep from exam point of view and lets you know if you are ready to take the plunge. Whereas the latter helps you prepare yourself better from an exam and concept viewpoint and give a feedback for every question. The mock exam comprises of similar number of questions in terms of length and time duration, as you can expect on the final day which would be a computer-based examination. Ideal approach for obtaining the maximum benefit from the tests would be that you make sure the course material is thoroughly understood from examination point of view and you have marked a date on your calendar to give a test. An ideal approach would be to ask your driving instructor to explain various concepts and make sure you understand the concepts in a practical manner too. Our groups of DSA instructors have carefully designed each of the tests and the training docs to ensure the reader gets the utmost benefits. Get ready for a wonderful and challenging experience. Do give us your precious feedback so that we could cater more easily to your needs. Please select your option from the above mentioned online tests to test your preparation level. The scores would be displayed at the end of the entire test and a feedback email would be sent to you on the registered email address. It’s a good practice to always book the online exams via official websites. For the Driving test the best way to book your test would be by using the official site, GOV.UK. If you use an unofficial site, you might pay more than you need to, could be falsely booked or you may not get a booking at all. If you’ve used an unofficial booking website carefully read the terms and conditions with regards to booking cancellation, modes for appearing Car Driving Test UK exam and about the test center. You can start with checking the nearest test center to appear your theory test. Additional information could be obtained by clicking this link. You can find your nearest test center at GOV.UK. You’ll be given your results shortly after you’ve finished the theory test. If you pass, you’ll be given a letter with your pass certificate number on it. Make sure you keep this safe because you’ll need the number when you book your practical test. This letter would help you obtaining your license, it’s alike a provisional driving license. Your theory test certificate is valid for two years only. If you don’t pass your practical test in that time period, you’ll have to take the theory test again before you can take the practical test. If you fail to pass the theory test, you’ll need to wait at least three working days before you can retake it. Use this time to do some more preparation. So that when you re-appear the exam, you would be successful.